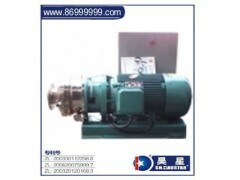 Among them, the stand-alone devices: Titanium mill - Graphite black grinding equipment, titanium dioxide colloid mill, pipe mill, titanium dioxide slurry pumps, continuous grinding pump, on-line graphite ultrafine grinding machine, colloid mill pipeline resistance mill pumps, circulating pumps wearable, titanium dioxide colloid mill, the English name: TiO2 Grinder Mill products are suitable for all types of emulsion liquid or paste media materials, processing and transportation of materials 5000-10000 cps viscosity density media. Can be customized according to customer special requirements on the nature of the processing of materials of different acidity, alkalinity, stiffness and other properties. Products have been widely used in biological engineering, pharmaceutical, chemical, food, oil and other industries. Bitumen, titanium dioxide slurry (titanium), stone black, white carbon black, synthetic resin, synthetic, fire-retardant materials, emulsified mixture of oil, paint , paste, gel, fluid, solid-liquid preparation of the treated areas of pigments, dyes, carbon black, glue, adhesives, silicone, coating, polymer materials, waterproof materials, mixtures, suspensions and the like. With high shear, dispersion, emulsification, mixing, crushing, homogeneous, depolymerization, crushing, grinding and precision performance supporting the delivery pipeline.